We have been in operation since 1981, servicing all sizes businesses and organizations who need data and resources for marketing their goods and services. 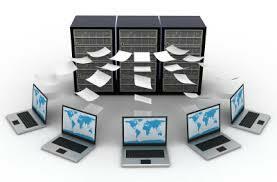 Our website offers many pre-made and popular databases and directories but we also custom make databases for our clients. Our lists contain Company Name, Address, Phone, Website and Email Addresses. Order online to get our technicians started and we will research our database of over 8.5 million USA businesses (updated regularly) to accommodate your request. ANY custom list BY ENTIRE STATE is $200.00. We can run entire United States Lists for a category for $850.00. We are also able to compile for businesses outside of the USA. Inquire. Depending on amount of data available and will take 5-10 working days for completion. BRAND NEW COMPILATIONS from Facebook Social Media! We are also now able to generate lead lists from current Facebook data! This is an excellent resource if you are looking for specific businesses locally in a particular city or state. We compile geographically (example: Jewelry Stores in Toledo, Ohio - or Jewelry Stores - entire state of Ohio, etc.). This is a brand new compilation and custom run for each order so you have accurate and up-dated information. We provide in CSV format with all pertinent data including names, addresses, phone, website and email. Go to our Facebook Database Page.